You’ll want to hardwire any computer that doesn’t need to move around, like a desktop, since wired connections are fast, reliable, and cheap. They’re far from ideal for devices you pick up and move around, though, like laptops, so for those we use a wireless connection (commonly known as Wi-Fi). 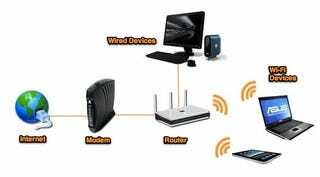 Wi-Fi is more than adequate for simple web browsing, though wired connections are ideal if you’re transferring big files, gaming, video chatting, or streaming video. Throughput is the speed at which a router can transfer data. The transfer speed of your wireless connection is dependent on the wireless standard it uses. The most common standards today are 802.11g and 802.11n (also known as “wireless G” and “wireless N”, respectively). 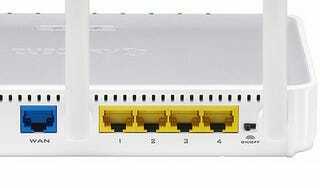 Wireless N is faster than wireless G, though routers that support wireless N are also more expensive. Most new devices—like smartphones and laptops—support the faster wireless N.
Your router isn’t the only thing that determines wireless speed: you also need the correct kind of wireless card in your computer. If you have an older laptop, it might have an older wireless G card inside, meaning it can’t take advantage of wireless N speeds. If you have a mix of N- and G-capable computers, you can turn on a wireless N feature called “mixed mode”, which will let you use both on the same network. You’ll get faster speeds on the wireless N clients and slower speeds on the wireless G clients. Some claim, however, that running both N and G devices on the same network can lower speeds across the network, even between a wireless N router and wireless N computer. So if you want the fastest possible speeds, you’ll probably want all wireless N devices on that network. The wired half of your router will come in one of two speeds: 10/100 Mbps and 10/100/1000 Mbps (also known as “gigabit”). 10/100 routers are cheaper, but won’t transfer data between computers as quickly as gigabit routers will. If you’re only using your router to connect to the internet, 10/100 is fine, since your internet connection is probably slower than 100Mbps, meaning you wouldn’t be able to actually take advantage of the router’s full speed. If you’re transferring data between computers, however, you’ll want to go with a gigabit router, since it’ll transfer that data much faster than a 10/100 model. Wireless routers can only reach so far. 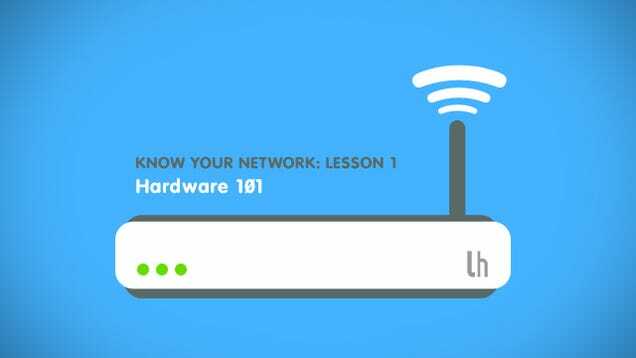 If you have a big house and have the router on one side, you might not be able to access the network from the other side of the house. Your range, like your speed, is determined by the wireless standard you use. Wireless N has a longer range than wireless G, so if range is important you’ll want to use wireless N.
That said, there are many other ways to connect to your network from afar. Wireless extenders (also called wireless repeaters) are products you can buy that do exactly what they say—extend your network further. Alternatively, you can buy a powerline adapter, which lets you use your home’s electrical wiring to hook a faraway device up to your router with an Ethernet cable (and thus get a faster connection than wireless would allow for). If you’re upgrading to a faster, stronger wireless router, don’t chuck your older Wi-Fi… Read more on lifehacker. Routers have two types of ports in the back: LAN ports and WAN ports. Your WAN port hooks up to your modem (which, again, is what connects to the internet), while the LAN ports hook up to your computers and other clients. Most routers have one WAN port, but you’ll need as many LAN ports as you have wired devices. If you have more wired devices than can fit on a router, you can plug them all in using a wired switch. A switch is like a power strip for your router: it lets you plug in more devices than the router originally allowed. Photo by Ari Zoldan. The main downside of the 5Ghz band is that, since it uses a higher frequency, it isn’t as good at penetrating walls. As such, if you run your router in 5Ghz mode, you might have a shorter range than if you ran it in 2.4Ghz mode. In addition, some older devices don’t support 5Ghz. The solution to this problem is to use a simultaneous dual-band router, which can broadcast on both bands at once. Unless you don’t mind strangers eating your bandwidth and potentially accessing your networked files, you should always protect your wireless network with a password. WPA2 is currently the most secure type of wireless encryption, so make sure you use WPA2 if you can. 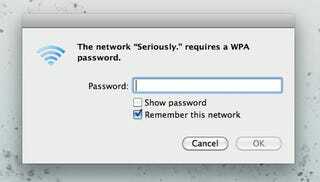 Some old wireless devices won’t support WPA, in which case you’ll have use the less secure WEP instead. Basically every device made in the last four years support WPA2 encryption. If you’re planning to use your router for a small business, you might want to look for a router with the “guest network” feature, which allows other people to access the internet without giving them full access to your computers and sensitive data. Hardware specs like these are important, but routers also come with a lot of software and firmware features, like DHCP reservations, Quality of Service, or firewalls that can make managing your network easier. However, the more of these features a router has, the more expensive it’s likely to be. If you’re comfortable with flashing a new firmware on your router, you’re better off getting one that’s compatible with a third-party firmware like DD-WRT or Tomato. Make sure your router is on DD-WRT’s list of supported devices or Tomato’s list of supported devices if you want to go this route.